Your child will Love to Learn and Learn to Love! Every child is unique and precious to God. It is our desire to partner with you in nurturing your child socially, emotionally, intellectually, physically, and spiritually. We will integrate the work of God into a well-rounded curriculum. Our small class sizes help us to focus on your child’s unique gifts and areas of growth. Must be 3 years old by Sept 30, 2019. Must be 4 years old by Sept 30, 2019. Must be 4 1/2 years old by Sept 1, 2019. Click here for questions or to request more information. 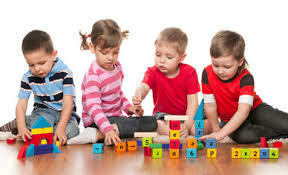 Reasons why Evergreen Christian Preschool is right for your child!